**Updated: HARLEM, NY – The Apollo Theater, one of the nation’s greatest cultural treasures, will induct Lionel Richie and the late Etta James into its Apollo Legends Hall of Fame at its seventh annual Spring Gala on Monday, June 4, 2012. The Gala Benefit Concert and Awards Ceremony brings together the best and brightest in business and entertainment to raise funds in support of the non-profit theater’s remarkable legacy, its current initiatives for emerging artists, and community and educational programs that serve students and families in New York City and beyond. Lionel Richie and Etta James join past Apollo Legends Hall of Fame inductees—all legendary musicians, artists, and entertainers whose paths to fame included the Apollo—Stevie Wonder, Michael Jackson, Aretha Franklin, Quincy Jones, Patti Labelle, Smokey Robinson, James Brown, Gladys Knight and the Pips, Little Richard, and Ella Fitzgerald. Each Apollo Legends Hall of Fame inductee is honored with a plaque in the Apollo Walk of Fame, installed under the Theater’s iconic marquee on 125th Street. 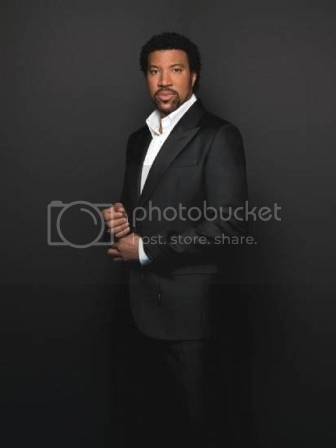 Celebrated singer-songwriter, musician and record producer Lionel Richie is a multi-award winning superstar whose musical legacy spans more than three decades. His long association with the Apollo began in the 1970s when he performed at the Theater as part of The Commodores. Richie has created an unforgettable body of work that speaks to people of all races, faiths and ages around the world, with universal themes of life, love and loss presented with poetic simplicity and irresistible melodies. Blues, soul, jazz, R&B, and rock vocalist Etta James forged a five-decade career with over a dozen hit singles, four Grammys, and a prominent place in the Rock and Roll Hall of Fame. James performed at the Apollo Theater as early as 1957 with Big Maybelle Smith, and then went on to perform again in 1963, during the era when the legendary Frank Schiffman was the Apollo’s manager. James passed away on January 20, 2012 at age 73. Additionally, The Apollo will present Citi with its Corporate Award, in recognition of their community leadership. Each year at the Spring Gala benefit, the Apollo recognizes a corporation whose support enables the Theater to grow and expand in its programs and community and education offerings. The evening consists of the gala benefit concert and awards ceremony, produced by Ron Weisner for Ron Weisner Entertainment, and an after-party called the Apollo Supper Club, featuring a stylish lounge atmosphere, spectacular gourmet creations, and late-night dancing. This event is the Apollo’s largest annual fundraiser and proceeds of the event will benefit the Apollo Theater Foundation, Inc., a tax-exempt, 501(c)(3) not-for-profit organization, dedicated to preserving and developing the Apollo Theater and its initiatives for performing artists, educational programs, and community outreach efforts in New York City and beyond.